If you own a four wheel drive vehicle, or something that requires a power output, such as a tow truck, you're probably very familiar with what a transfer case is. For the rest of you, a transfer case mounts directly behind the transmission, to redirect torque from the transmission to other systems. In a four wheel drive, the transfer case redirects torque to the front and rear axles, to allow all four wheels to drive the vehicle. On many vehicles, it's the device that allows you to choose whether you're in two wheel drive or four wheel drive. Whatever the use, a transfer case is an important part of many different types of vehicles. 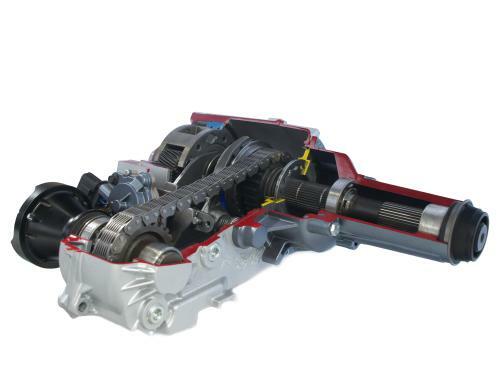 But since all the torque to the wheels has to run through the transfer case, a problem with the transfer case can appear very similar to a transmission failure: It can keep your vehicle from moving at all. But that's okay, because the technicians at your nearby Cottman center are well versed in transfer case repair. They understand how those transfer cases operate and know how to diagnose and repair them to like-new operation. And, most important, they know how to identify the root cause of your vehicle's condition, to see whether it's in the transmission or the transfer case. So, when you bring your vehicle to your local Cottman center, you'll never pay to have your transmission rebuilt when the problem's actually in the transfer case. If you're experiencing a problem with your vehicle's drive system, and you aren't sure whether it's in the transmission or transfer case, relax: Just bring it to your nearby Cottman center for a complete diagnostic evaluation. Don't wait; do it today!